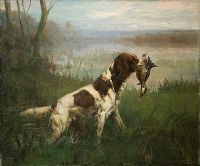 Born on September 21, 1859 near Baton Rouge, Louisiana, Rosseau's early adulthood was spent in developing a business in New Orleans which provided him with a financial base. 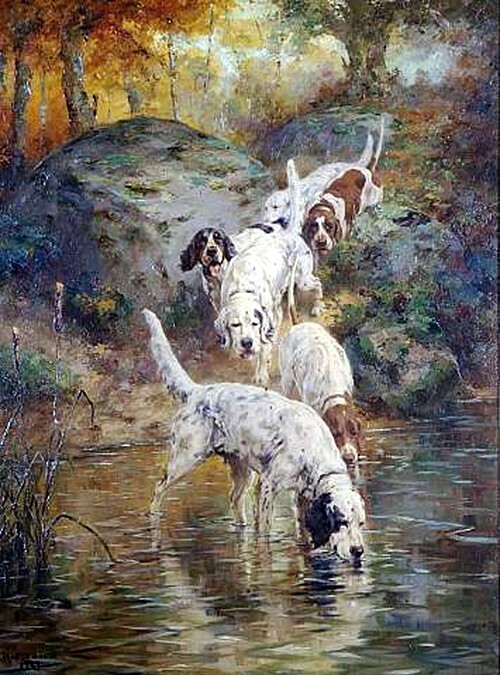 Once established, he enrolled at the Academie Julien in Paris where he stayed for three years. Rosseau initially painted mostly landscapes and nudes, and continued his training by traveling back and forth between France and America. 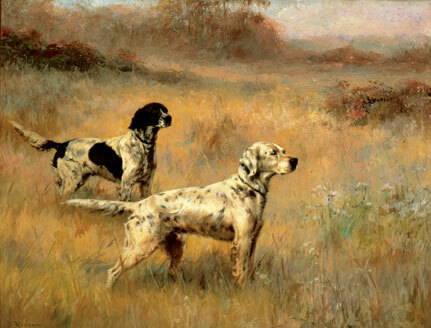 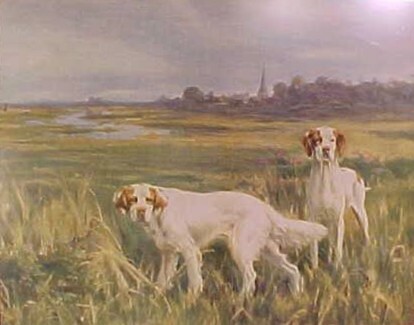 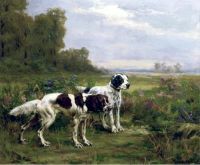 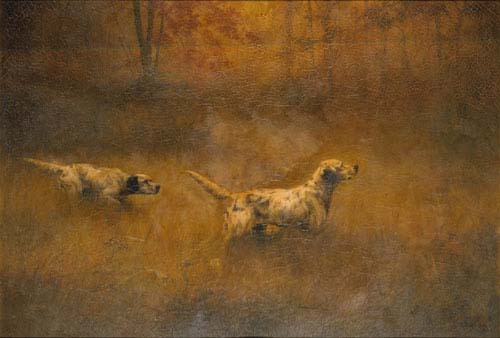 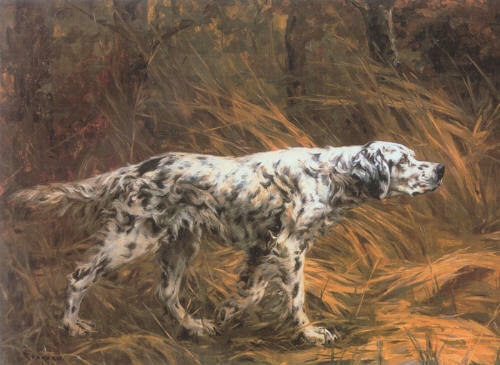 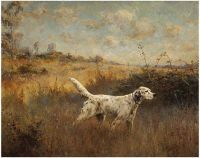 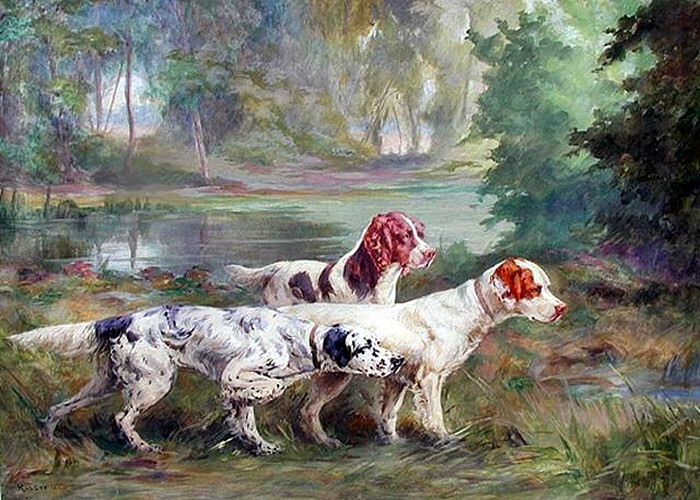 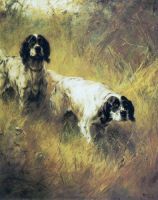 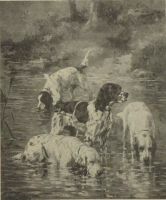 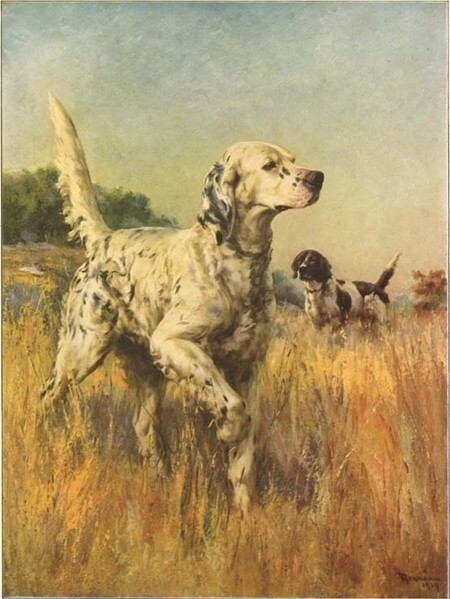 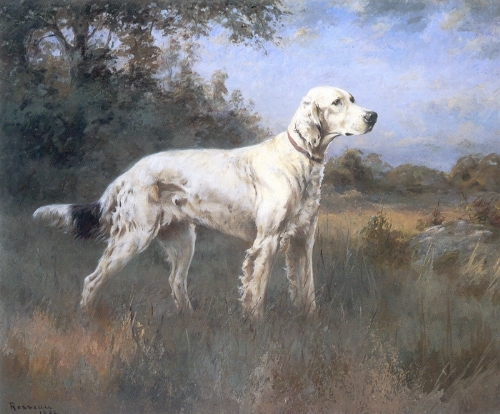 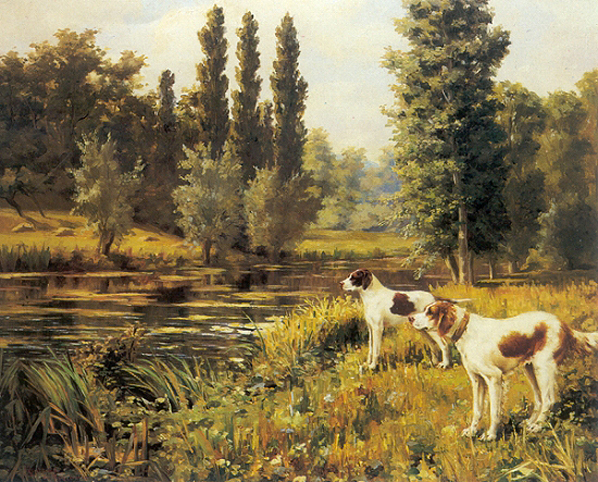 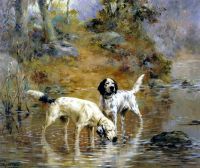 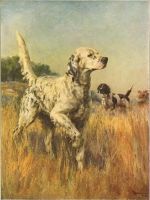 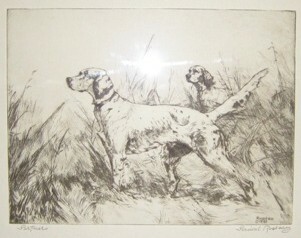 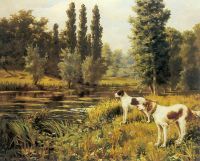 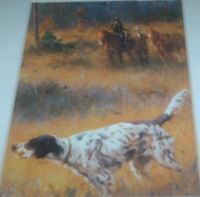 In 1904 he exhibited two pictures of Setters, and as they were such a success, from that time on he devoted himself almost entirely to the painting of dogs. 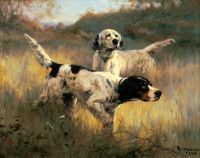 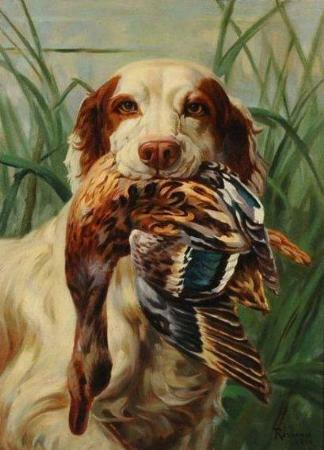 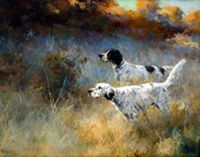 He settled in France, and he made frequent trips to America to paint dogs, often staying with his clients and hunting with them. 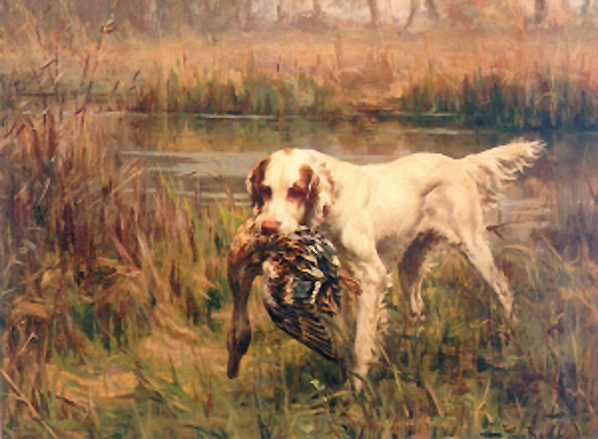 World War I forced him to return to America in 1915. 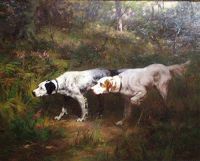 Rosseau's best pictures exhibit a loose painting style which captured the tense action of the sporting dogs which he painted. 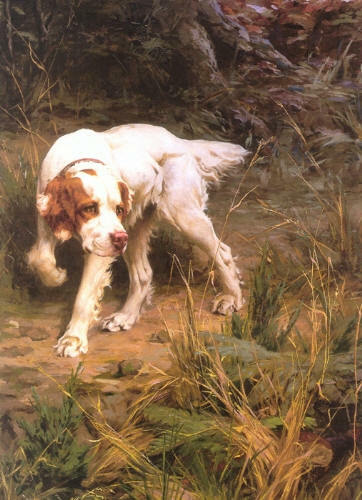 He was very concerned about the quality of light in a painting, and many are enhanced by the subtle depiction of its changing qualities.